​The 'Eden Hazard to Real Madrid' narrative has been going on for years. 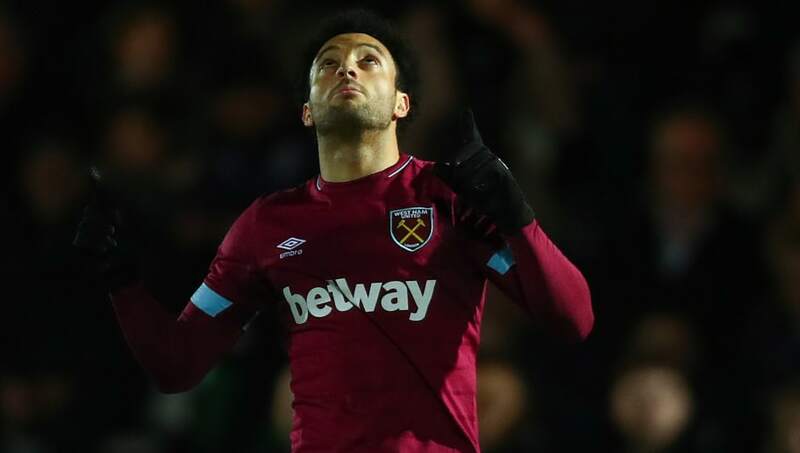 Hazard's talent is not up for debate, but Los Blancos should forget about the Belgian and move for another star winger - West Ham United's Felipe Anderson. This summer is shaping up to be a hectic one for Real, who have been linked with every player under the sun in an attempt to recover from a disastrous season. Links to Hazard have been present for years, but interest in Anderson has surfaced recently, and that is the route Real should head down. The Brazilian is a real talent. He had spent years flirting with stardom with Lazio, but it was his summer move to ​West Ham which has seen Anderson explode onto the scene. He has racked up nine goals and five assists for a mid-table West Ham side, looking to be one of their shining lights in an otherwise underwhelming season. Now a left winger, Anderson has taken the ​Premier League by storm. His combination of speed and dribbling has turned him into a constant terror in England, even if his form has dipped since the turn of the year. He can score and assist, and boasts the stunning on-the-ball elegance which appeals to the Santiago Bernabeu faithful. His vision has been vital to his success, allowing him to find spaces on the pitch which many players simply would not dare trying to occupy. This skill also means he knows where to pass the ball, which would be a huge benefit for the likes of ​Karim Benzema and ​Gareth Bale. The 25-year-old has plenty of experience on the right side of an attacking line, which means he would be comfortable playing in any role for ​Real. Young Vinicius Junior has showcased this season why many at Real have tipped him for superstardom, and Anderson's versatility means he would be able to play alongside the 18-year-old. This is where Anderson differs to ​Hazard. The ​Chelsea man is an out-and-out left winger, and would have to be played in his favoured position if he made a big money move to the Bernabeu. Vinicius would be benched, and Real would risk stunting his development. The cost of the deal will also play a huge part in Real's choice. Chelsea are said to be demanding around £100m for their 28-year-old talisman, whilst a deal for Anderson would likely only cost Real around £60m. Such a saving would free up a sizeable amount which could be invested in another area. Signing either player would certainly help Real's cause, but Anderson is the right man to save the club right now. If they play their cards right, they could even sign Hazard on a free transfer in 2020, and everyone wins (apart from Chelsea).